There’s bad news for Bethesda fans this week. The much-anticipated mod support for Skyrim and Fallout 4, scheduled to be added to the Playstation 4 platform soon, has now been cancelled. Bethesda blames Sony — apparently they roadblocked the feature and would not approve it. “After months of discussion with Sony, we regret to say that while we have long been ready to offer mod support on PlayStation 4, Sony has informed us they will not approve user mods the way they should work: where users can do anything they want for either Fallout 4 or Skyrim Special Edition,” Bethesda said in a statement. The XBox One versions of both games will support mods. Microsoft could not resist attacking this weakness in their competitor, and pounced. 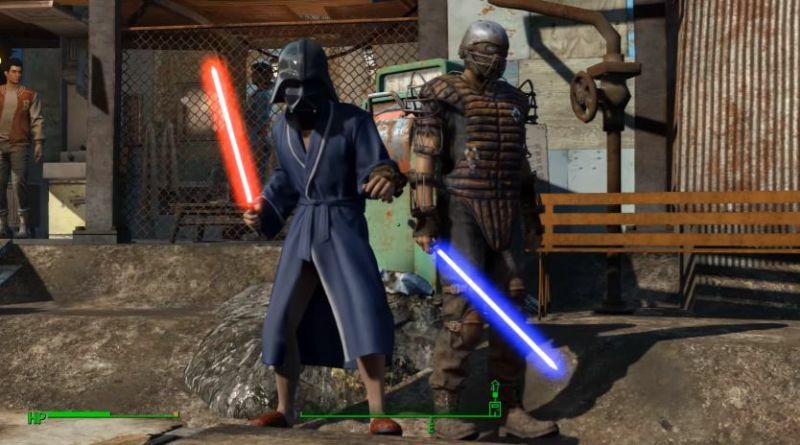 “ICYMI: Xbox One owners have been enjoying @Fallout 4 mods since May,” tweeted XBox’s Larry Hryb. If using mods on a console is a dealbreaker for you, that leaves only one choice for now, unless Sony changes their mind in the future. Sorry ’bout this, everyone.